Come out for a night of Jazz! Pay one price, two great performances. 7:30pm – 9:30pm The Ray Blue Quintet. Peekskill based jazz tenor saxophonist and jazz educator, Ray Blue, brings his ensemble to ArtsWestchester’s gallery stage with a blend of classic jazz and original compositions. 10:00pm – Midnight Jazz Jam, led by Pianist/Composer and Head of Jazz Studies at SUNY Purchase Jazz Studies Program, Pete Malinvernie. Open to all musicians. Ray Blue (tenor saxophone) was born and raised in Peekskill. Receiving a solid foundation in music as a youth, he went on to attend the U. of Iowa jazz studies program. 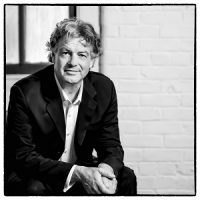 He performs and conducts workshops and master classes internationally. He was based for long stretches in Europe but is still based in Peekskill, where he shares jazz music in the community as passionately as he does around the world. His music can be described as a fusion of straight ahead jazz and African groove. Over the years, this award-winning saxophonist has shared the stage and studio as leader and sideman with John Gilmore, Dr. Art Davis, Benny Powell, Kirk Lightsey, Bernard Purdie, Patience Higgins, Reuben Wilson, Danny Mixon, Wycliff Gordon, Bruce Cox, George Grey, Doug Sides, Wayne Dockery, Clifford Adams, Steve Turre, Belden Bullock, Ted Curson, Joe Lee Wilson, John Betsch, Calvin Hill, Michael Cochrane, The Sun Ra Arkestra, Cotton Club All Stars, Harlem Blues and Jazz Band and many others. He is a recipient of numerous awards for his work including: the Jazz Legacy Award of the Iowa Juneteenth Observance, 2015, the Mayor’s Award, City of Peekskill, 2014, Tri M Music Honor Society, 2012, Distinguished Career Award, Wm. Penn University, 2010, and he is an inductee to the Blues Hall of Fame. Ray also founded Cross-Cultural Connection, Inc., an organization that promotes jazz culture, education and performance. To learn more about Mr. Blue, visit his website. Pete Malinverni, a native of Niagara Falls, N.Y., Malinverni began classical piano studies with Laura Copia at the tender age of seven, earned a bachelor’s degree in music education from the prestigious Crane School of Music at SUNY Potsdam and his Master of Music degree from the Conservatory of Music at Purchase College, where he studied piano and composition with the famed Anthony Newman. He has remembered well the learning process and is a teacher much in demand, serving on the jazz faculties of New York University, William Paterson University, and the Conservatory of Music at Purchase College. 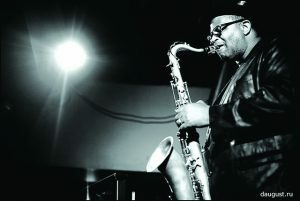 He has also taught jazz appreciation to non-music majors at New York University and classical ear training at Purchase. In 1999, he was honored with NYU’s Marc Crawford Jazz Educator Award, and he has successfully presented seminars and master classes in the U.S. and abroad. In recent years he has begun to explore his talents as a writer on music, writing liner notes and contributing to such periodicals as The Piano Stylist and The Record Review. On several occasions his letters have been published in Jazz Times and Downbeat. To learn more about Mr. Malinverni, visit his website. For the full five-day 2017 JazzFest Concert Schedule, click here.